This week I have some crafting to do. I missed out on the Harry Potter Ravelry challenge (the day before it closed, I did not see any updates, but the day after it closed, I had 4 messages from before it closed?!? It was weird. Hopefully I will finish up the 4 things I need to craft. Additionally, I’ve been working on batching some books and getting them ready for Bookcrossing at an event back east. I got rid of 19 books (most that I’d read and a few that I had duplicate copies of). Yay! I’m also trying to get a second box together. 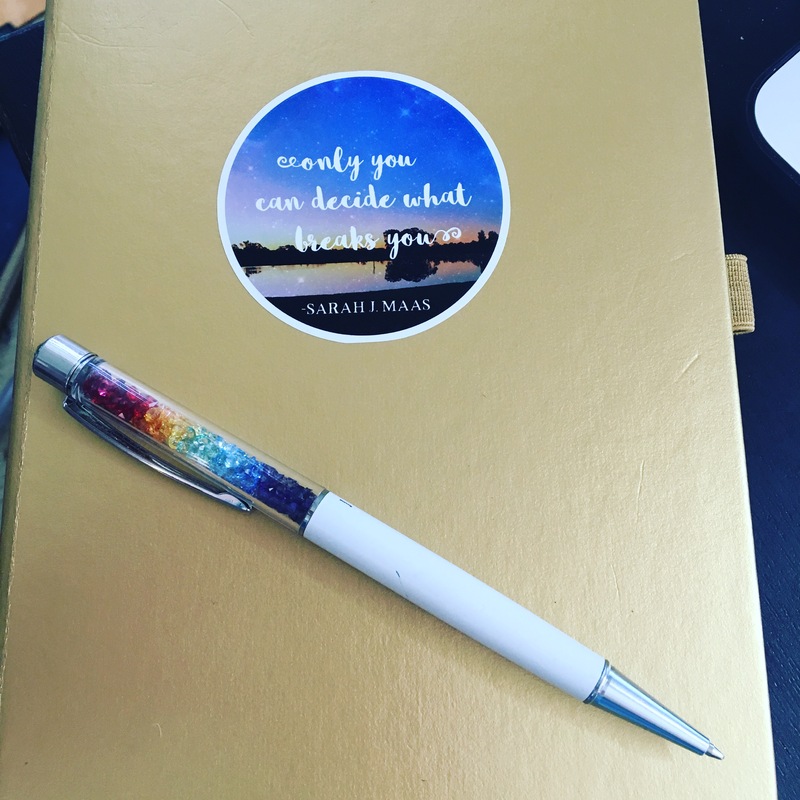 The biggest thing that I need to be doing is to be writing, but there has been so much to do that it’s hard for me to get that set up–I committed to 20,000 words for Camp Nanowrimo and I’m helplessly behind. Crap! I also started a bullet journal (on the recommendation of someone that works in my favorite local comic shop. 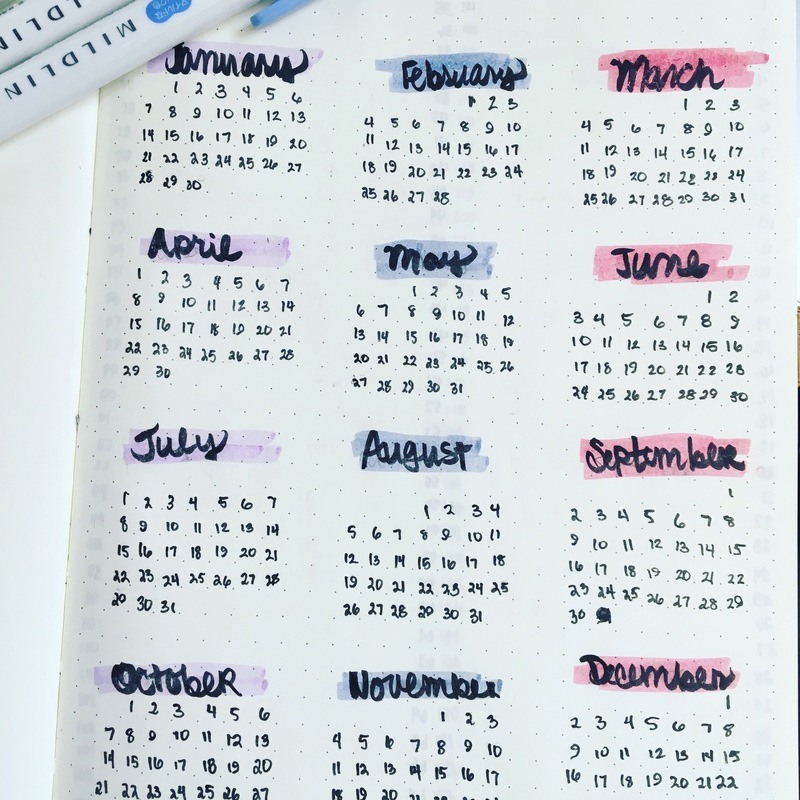 It’s been a lot of fun, and I think I’m already in July (April 16th, last week, was my first spread). I am way more of a writing type girl, so I think there are a lot of things that I could be adding to my spreads, but it’s just not working right now because I have NO ROOM. I use every bit of space to write! LOL. I love that I’m using a gold Leuchtturm1917 notebook. I was able to add a sticker from a series I should be reading (ACOTAR) to the front and the trusty pen loop to the side. I haven’t needed to buy anything in order to get things set up in the journal–it’s all been stuff that I’ve had or hoarded for things. LOL. And of course, there’s work all week, and possibly work this weekend. And lists and hitting walking goals–I have a new pair of shoes that I tried at the Parks last weekend (my toe FINALLY healed) and I got NO blisters for the first time in a long time. It’s amazing. 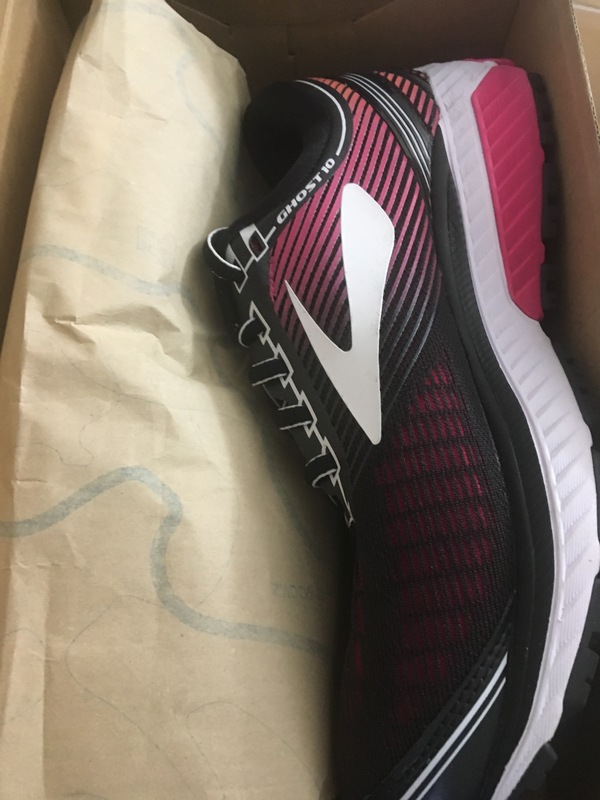 These are Brooks Ghost 10 shoes and while I almost want a different color scheme, the fit and comfort level of these is the best I’ve ever had! 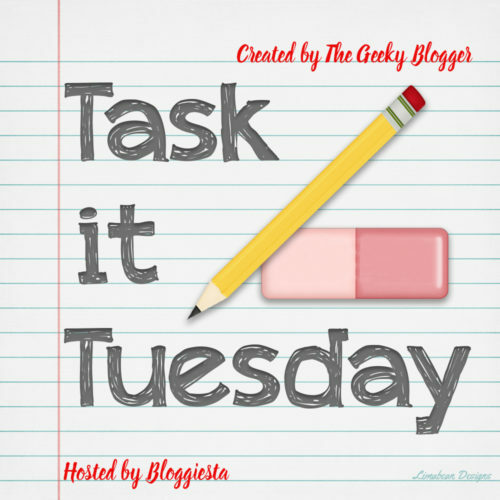 Happy Task it Tuesday–please comment with your list!